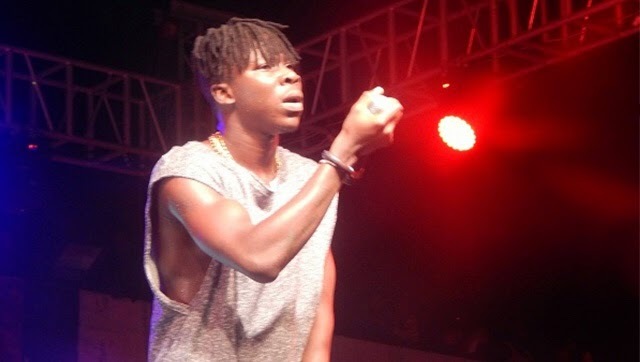 Stonebwoy ahead of his recently held album launch was on a media run and made a few revelations about his personality. The current Vodafone Ghana Music Awards Overall Best Artist in an interview disagreed with critics of Dancehall music who thought the genre wasn’t real enough. “Coming this far I have learnt language is no more a barrier to music. Whoever is fighting music over language barrier… There’s an argument that Dancehall acts are not getting anywhere because of too much copying the Jamaicans and we have met a few Jamaican industry people and it’s not about Patois, it’s about music. It doesn’t matter the language you sing, people will feel it. If doing music in Patois makes us fake then learning English and speaking in it is fake also. “We should take away the idea that people are trying to LAFA and what not. If you love something you love it, if you don’t, leave it and let those who will love it love. The Baafira singer also revealed Yaa Pono was his cousin and that was one of the reasons why the Uptown Energy artist was that good. He also took the opportunity to reveal his other personality that made him do things he couldn’t control. “I’m a twin, but my other twin passed on. So I’m two in one now. I’m Bipolar. That’s something most people don’t know. That’s my other side I can switch to the other side any moment. “Sometimes I drop the headphones and scream just to get the attention of Dakay. But that’s the other guy and not me. Sometimes when I’m the other guy I do weird things. “The last time I bought roasted plantain and everything was in my hand and then the groundnut poured off, I got annoyed and poured everything off. “Everyone was wondering what happened to me. Everyone around me knows, I can go all hard and I can go all soft. Being two people, it’s not good.